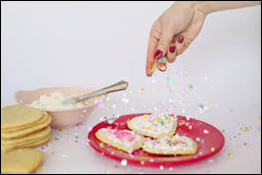 On the weekend of February 9 and 10, join us to decorate Valentine cookies. You’ll be able to take cookies home. We’ll be decorating after all Masses. Masses are Saturday 4:15 p.m. and Sunday 8:30 a.m. and 10:30 a.m. No need to RSVP.